During the fall of 2015, Yukon Energy installed a solar energy system on the south facing wall of our main administration building in Whitehorse. The system, that includes 40 panels of 260 watts each, can produce about 10 kW of renewable energy. It is providing power for at least five percent of our load (we have quite a large load because of the servers we have to run our grid). The purpose of this project is to better understand the residential applications of solar electricity and gain knowledge about the capacity of local contractors to install and maintain local solar energy systems. You can go to this site to see a daily account of the amount of electricity our panels are producing. This is the second time we have installed solar energy systems on one of our buildings. 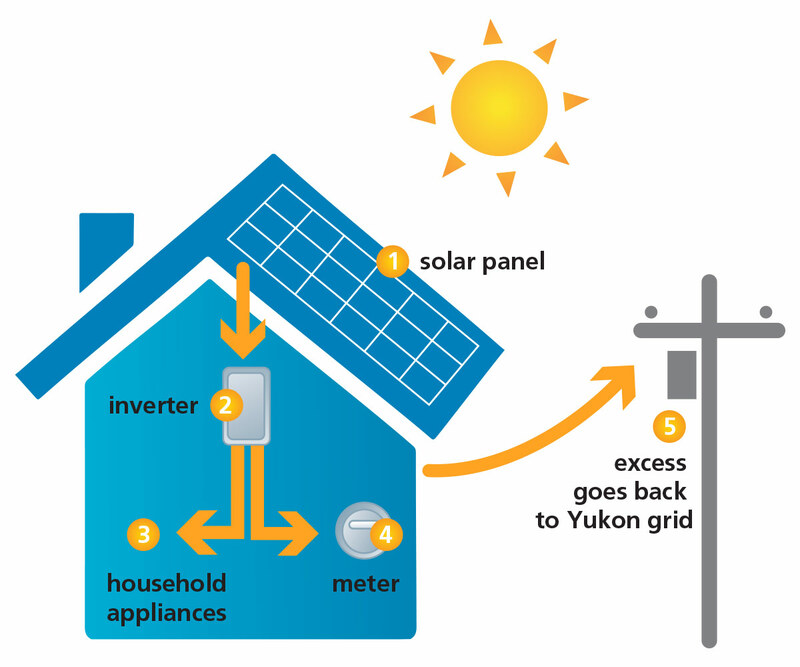 A few years ago, Yukon Energy added four solar panels (235 watts each) at the Whitehorse Rapids Fishladder to test solar technology on a residential scale, and to investigate the mechanics of feeding locally generated power back into the Yukon grid.